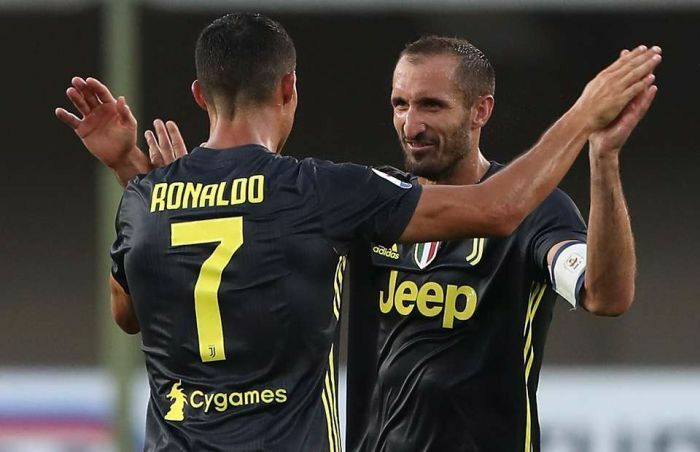 Juventus captain, Giorgio Chiellini has said that fellow teammate, Cristiano Ronaldo broke his “dreams many times – in Cardiff, Madrid and Turin”. Ronaldo led Real Madrid during his time at the Santiago Bernabeu to defeat Juventus on several occasions in the Champions League encounter. The 33-year-old scored twice for Real Madrid against Juventus in the Champions League final in 2017. He also scored three goals in two games against Max Allegri’s side last season. Chiellini admitted that the Portuguese captain had left him heartbroken over the years. “Cristiano scored many, many, many times against us and he broke my dreams many times – in Cardiff, in Madrid, in Turin,”Chiellini was quoted by Express UK as saying. “Before, the Champions League was a dream. “Now it is a target because Cristiano is the best player in the world and we need him to make the last step. “It’s the personality of Cristiano.